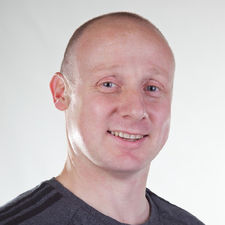 Ian Craig MSc CSCS INLPTA is an exercise physiologist, nutritional therapist, NLP practitioner and an endurance coach. He was a competitive middle-distance runner for 20 years and is now a more leisurely runner and cyclist. Ian specialises in Functional Sports Nutrition (FSN), a fast-evolving discipline that considers both health and performance of an athlete from an integrative health perspective. He is the editor of Functional Sports Nutrition magazine and is conference leader of Sports Nutrition Live. In Ian’s home of South Africa, he runs a private nutritional therapy practice in Johannesburg and is awaiting his first book launch (Wholesome Nutrition) in April. 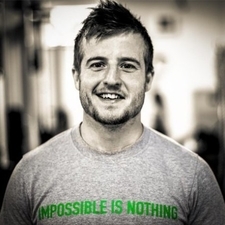 Ben Coomber is a performance nutritionist, coach, speaker, consultant and writer. Ben holds a degree in Human Performance and is a ISSN certified nutritionist. Ben run’s www.bodytypenutrition.co.uk, an online nutrition coaching company that also runs a multi-level 2 year Personal Trainers nutrition development program. Ben has the UK’s #1 rated health and fitness podcast on iTunes ‘Ben Coomber Radio’ with regular Q&A’s and expert interviews. Ben also owns Transdermal Technology, the worlds first and most advanced pre and post workout sports supplementation that’s applied via the skin. Ben’s journey in the fitness industry was a personal one from a battle with obesity at age 18 that spurred a keen interest in nutrition. Now a performance based individual that trains and plays rugby Ben blends his nutritional knowledge from both 1st hand experience, the science, and a potent background of coaching athletes and personal trainers. The Body Type Nutrition Academy is a multi-stage 2 year long nutrition education program designed to up-skill coaches, personal trainers, practitioners and people interested in advancing their nutrition knowledge. Our full 2 year BTN Academy program is split into 3 sections, Foundation (2 months), Main Academy (12 months), and Advanced Academy (10 months). The Academy is a practical and interactive learning experience, so while we cover lots of theory in the program, much of our teaching is about helping you apply the knowledge to the real world and the people you are trying to help. We are always looking to help you identify which theories, protocols, and systems of thinking are applicable to which client or individual to maximise your results. Over the course of the program you will be empowered with information on how to assess a client, how to think critically, how to analyse research, how to manipulate calories and macronutrients for performance and body composition benefits, how to repair the gut and immune system, the psychology of coaching, supplement science, and much more. Eifion Weinzweig MSc is a seasoned sports performer. Having won 2 World Championships as a dancer, he then converted to the world of elite cycling and was based in an elite team in West France for a number of years. He studied Sports Science at NewportUniversity and an MSc in Personalised Nutrition at CNELM, Berkshire. Eifion is the Managed the Centre for Integrated Sports Medicine with the aid of a group of specialists, concentrates on health and performance enhancement working with European professional cycling teams, Olympic athletes and the general public. Eifion then moved to working at the Cycling Academy p/b Peter Sagan team before returning to work alongside the medical team at Francaise des Jeux Pro Cycling. Alongside the work with cyclists Eifion heads up the Cadoudal Group of companies that specialise in larger scale sporting events and insurance. 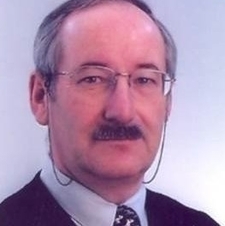 Dr. Peter Koeppel has a PhD in Biochemistry and Immunology. He was trained in Biochemistry with a special interest in clinical Immunology at the Institute of Virology at the University of Zürich. He then worked as a researcher in osteoarthritis and osteoporosis in a pharmaceutical company in Basel. Since 1989 he has been involved in producing special additives for human nutrition for ProBio Ltd, laterally becoming the managing director of this company in year 2000. 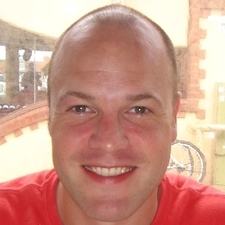 Dr Justin Roberts PhD is a Senior Lecturer and researcher with The Cambridge Centre for Sport and Exercise Sciences. He is an accredited Sport and Exercise Physiologist and Chartered Scientist with the British Association of Sport and Exercise Sciences (BASES) and a Member of the American College of Sports Medicine (ACSM). He is also a Registered Nutritional Therapist with the British Association of Applied Nutrition and Nutritional Therapy (BANT), the Nutrition Therapy Council (NTC) and the Complementary and Natural Healthcare Council (CNHC). With over 20 years’ experience in sport and exercise physiology and nutrition, Justin has worked at various institutions including the British Olympic Medical Centre (London), Brunel University, Victoria University (Melbourne) and the University of Hertfordshire (where he was the BASES laboratory director). Justin specialises in performance and functional nutrition with a central aim of exploring dietary and supplementation strategies to support performance, recovery and health-related adaptations to exercise. His current research interests involve the use of probiotic strategies to minimise gastro-intestinal endotoxemia in ultra-endurance athletes. Dr Hannah Moir, BSc, PGCE, PhD. Completed her PhD in the expression and activation of 5’AMP-Activated Protein Kinase (AMPK) and immune function in aerobic exercise at the Cardiff Metropolitan University in 2009. She is currently a senior lecturer in health and exercise prescription and Theme Leader for the Sport, Exercise, Nutrition and Public Health Research Group at Kingston University, London. 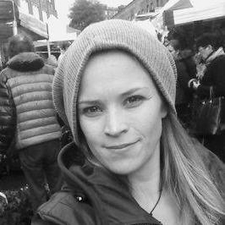 Hannah’s current research is on the recovery of muscle damage and inflammation and the association to clinical conditions such as diabetes, as well as the application to extreme environments and ultra-endurance events. She has a number of peer-reviewed articles in the field of exercise immunology, biochemistry and physiology, and provides consultancy for injury, inflammatory conditions and exercise prescription. Hannah is also the STEM Outreach Champion for Life Sciences, Pharmacy & Chemistry. Hannah is a member of the British Association of Sports and Exercise Sciences, the Physiological Society and International Society of Exercise and Immunology. Hannah also enjoys playing netball. Graeme Close is a former professional Rugby League player, Graeme is now a Reader in Applied Physiology and Sport Nutrition at Liverpool John Moores University where he is the programme leader for the MSc Sport Nutrition. 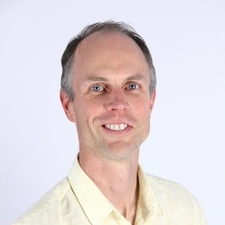 His research is focused on basic and applied sport nutrition where he has published ~75 papers and review articles. Specifically, Graeme’s currently research is investigating the effects of Vitamin D deficiencies on skeletal muscle function, the role of free radicals in skeletal muscle adaptations and the metabolic and nutritional demands of elite rugby. Graeme is accredited with the UKSCA, BASES and SENr. 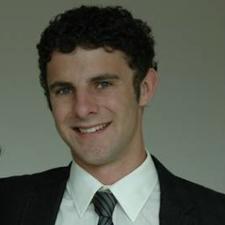 He is currently the deputy chair of SENr and has recently been awarded a fellowship with BASES. From an applied perspective Graeme is the expert nutrition consultant to England Rugby, he consults to several Super League Rugby League Clubs, he is the lead nutritionist with British Ski and Snowboard and nutrition consultant to many European Tour Golfers. Places start from £84, with an additional discounts for members of associations and students.